Ye’ela Wilschanski is an interdisciplinary artist. She received her BFA from Bezalel Academy of Art and Design, Jerusalem, Israel (2014) and is currently a MFA candidate at Hunter College, NY, USA (2019). 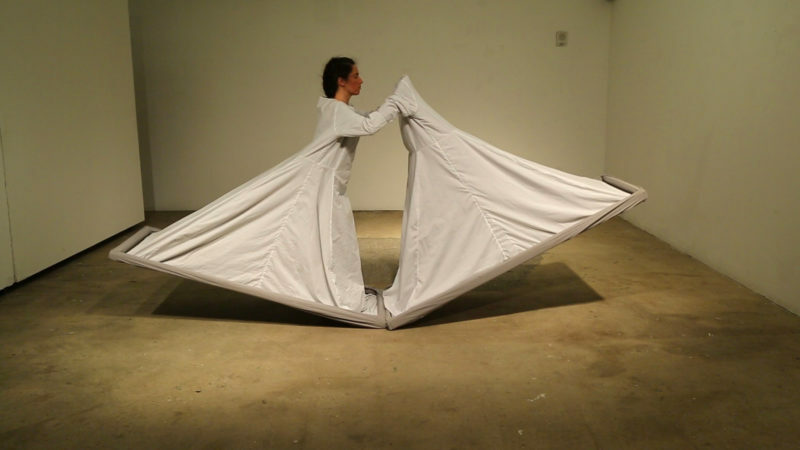 Her work revolves around the materiality of the body and the materials that the body contacts. Exhibition, Performance venues include: A4 Art Museum (Chengdu, China, 2018), Galeria Arsenal (Poznan, Poland, 2018), Barbur Gallery Performance Series (Jerusalem, Israel, 2015) Hansen Media Center (Jerusalem, Israel, 2015). Artist residencies include: MASH Dance House (Jerusalem, Israel, 2015); Lake Studio, Dance Residency (Berlin, Germany, 2014) The World is Sound, Berlin ,Germany (2014) and Aesthetics & Bias (Wroclaw, Poland, 2014).